These photos are from a couple months ago. 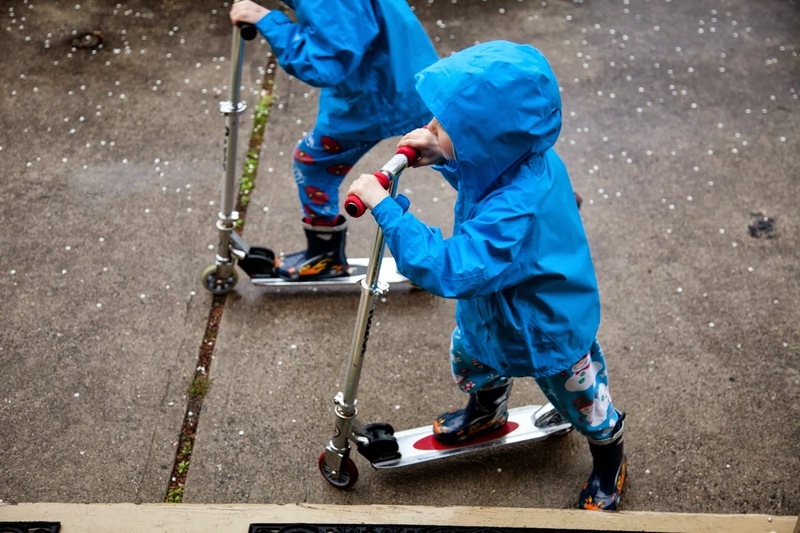 Pajamas, scooters, and raincoats/boots go so well together. I love when it rains, but is still warm enough to go outside. The boys had a blast riding through the puddles. We are getting prepared for our winters to be rainy.